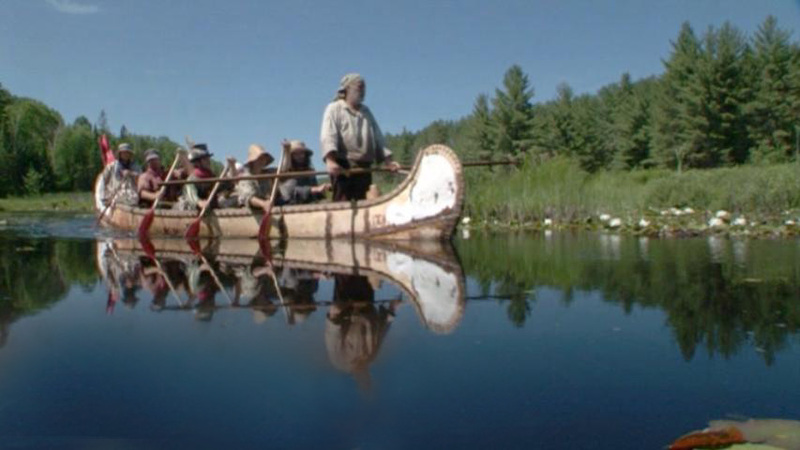 Birch bark or fiberglass fur trade, cargo and war canoes for clubs, camps or tours. In essence these are Great Lakes and big river North canoes. 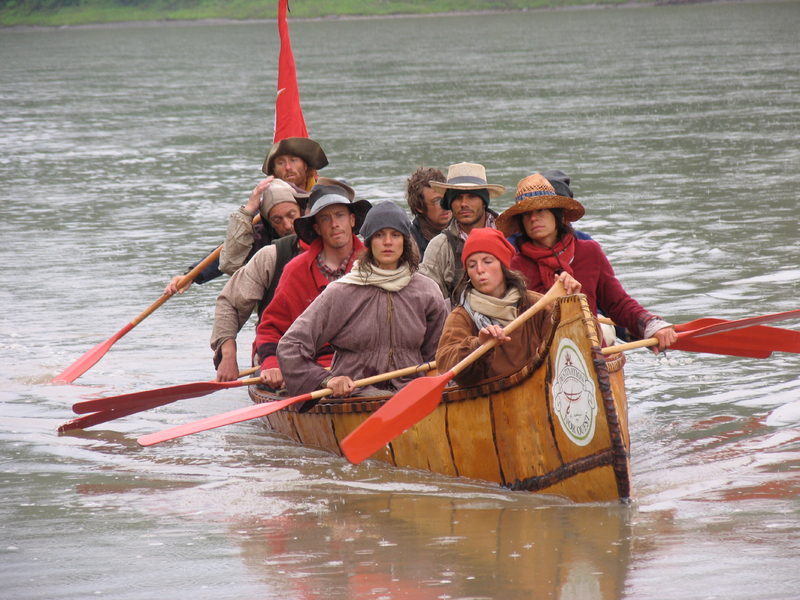 The fur trade canoes were fashioned after the large canoes of the Great Lakes. We build these as birchbark or fiberglass replica canoes. 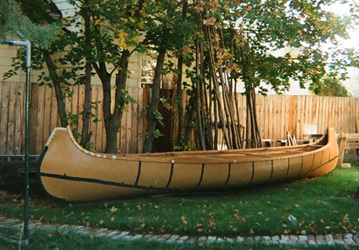 From left to right, Great Lakes War Canoe, Fur Trade Canoe and Chippewayan Cargo Canoe. Birch Bark - Due to the size, these monsters just gobble up materials and as a result they are more expensive per foot. Instead of our standard price of $425 per foot these big boys are $595 from 20 to 27ft and $650 for 28 to 34ft. No nails or screws. They are pegged and lashed with 3 ribs per foot. Fiberglass - We offer a 28ft model for $15,500. They are lashed up the ends of the gunwales and on the stems. 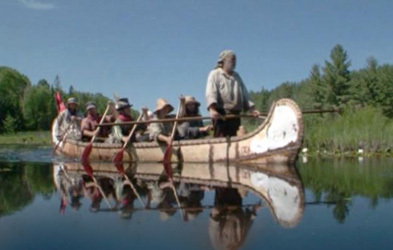 They come with a seat system wherein a rim around the interior of the canoe is built and seats are bolted in. Thwarts are also bolted in place. 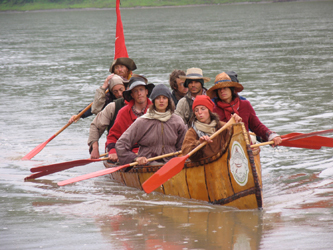 These canoes easily accomodate 11 adult paddlers plus additional passengers. Shipping We will work with you on getting your canoe shipped to you. Prices vary on your location. Payments terms are one third up front and the balance plus shipping prior to delivery. We take VISA and MasterCard as well as check or money order.